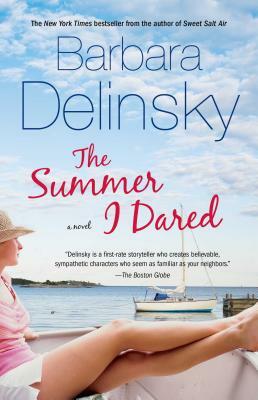 Set on a beautiful island off the coast of Maine, this deeply moving and powerful novel by New York Times bestselling author and "first-rate storyteller" (The Boston Globe) is about three people who survive a boating accident, exploring not only how each person deals with his or her own twist of fate, but also the effect each survivor has on the other. WHAT COMES AFTER THE MOMENT THAT FOREVER CHANGES YOUR LIFE? This is the question that haunts Julia Bechtel, Noah Prine, and Kim Colella, the only survivors of a terrible boating accident off the coast of Maine that claimed the lives of nine other people. Julia, a forty-year-old wife and mother, has always taken the path of least resistance. Pigeonholed by her controlling family and increasingly distant husband as "loyal" and "obedient," she realizes in the aftermath of her brush with death that there is more to her -- and to the world around her -- than she ever imagined. Feeling strangely connected to Noah, the divorced, brooding lobsterman who helped save her life, and to Kim, a twenty-one-year-old whose role in the accident and subsequent muteness are a mystery, Julia begins to explore the unique possibilities offered by the quiet island of Big Sawyer, Maine. Suddenly, things that once seemed critical lose significance, and things that seemed inconsequential take on a whole new importance. With each passing moment, each new discovery, Julia grows more sure that after coming face-to-face with death, she must have more from life. Resolving to make things right for the future and drawing on an inner strength she never knew she possessed, Julia passionately awakens to a new world, fearlessly embracing uncertainties in a way she couldn't have imagined only a few weeks ago. Set off the coast of Maine, where lobstermen leave with the tides each morning to haul and reset their traps, and neighbors gather each night to feast on the catch of the day, Barbara Delinsky's The Summer I Dared is a deeply moving story of the risky but rewarding search for self, a story of survival, and of the irrepressible ability of the human spirit to rebound from disaster and to create life anew.